Hello! Hope you are all well and happy today! We finally listed my house for sale and I'm as busy as ever! Hopefully I'll keep polishing and posting as long as my camera/polish isn't packed and I have internet! 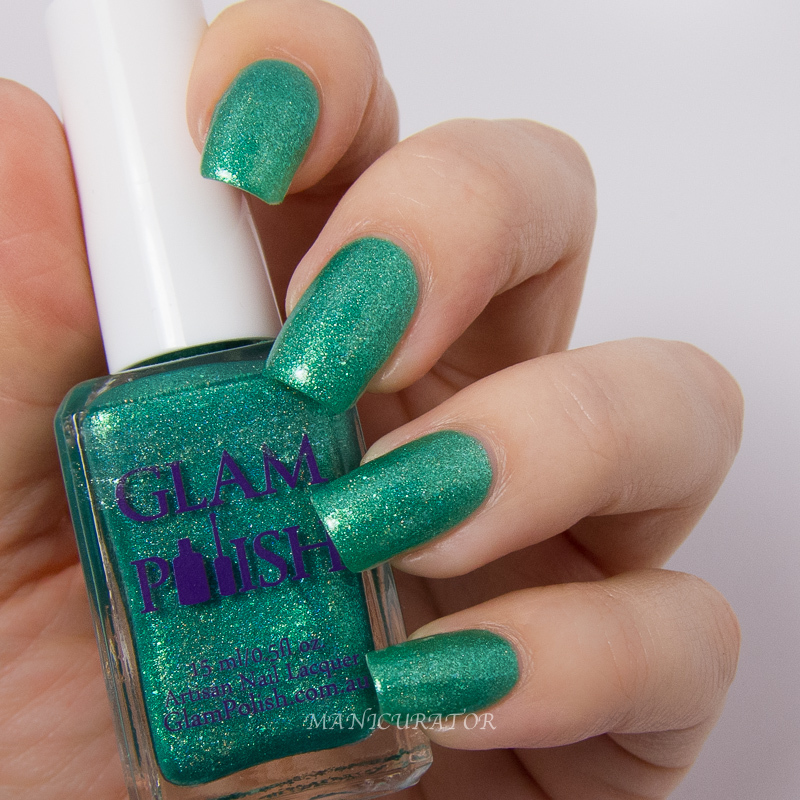 :D Let's take a look at this month's Exotic Illusions Trio from Glam Polish! 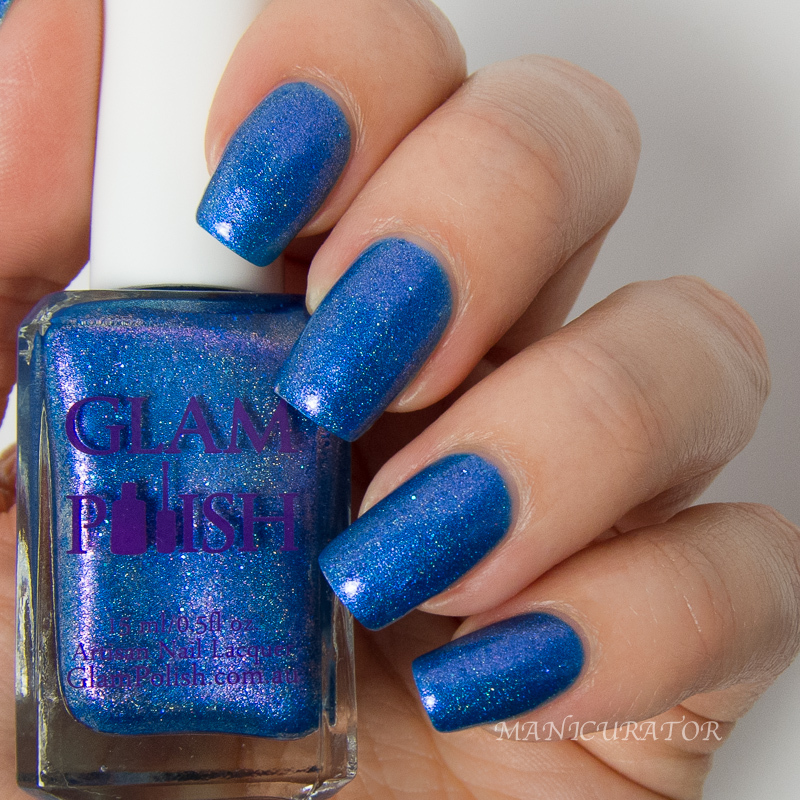 Love the way Glam Polish does shimmer! This is 2-3 coats of Azure Bay which has a beautiful pink shimmer that isn't captured very well in the photos, but it's there! My only issue with this one was there were a few tiny bumps of what seems like blue pigment that didn't get mixed. I tried shaking of course but that didn't help. The top coat helped make it unnoticeable but I felt I had to mention it. 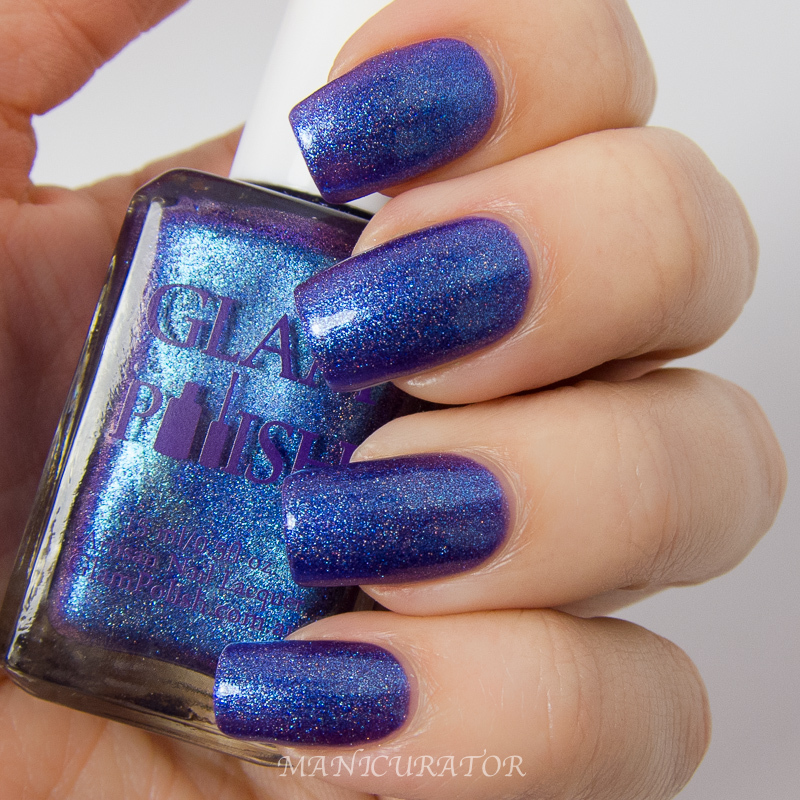 I've never experienced that problem with any of my Glam Polishes before so I know it's an isolated issue. 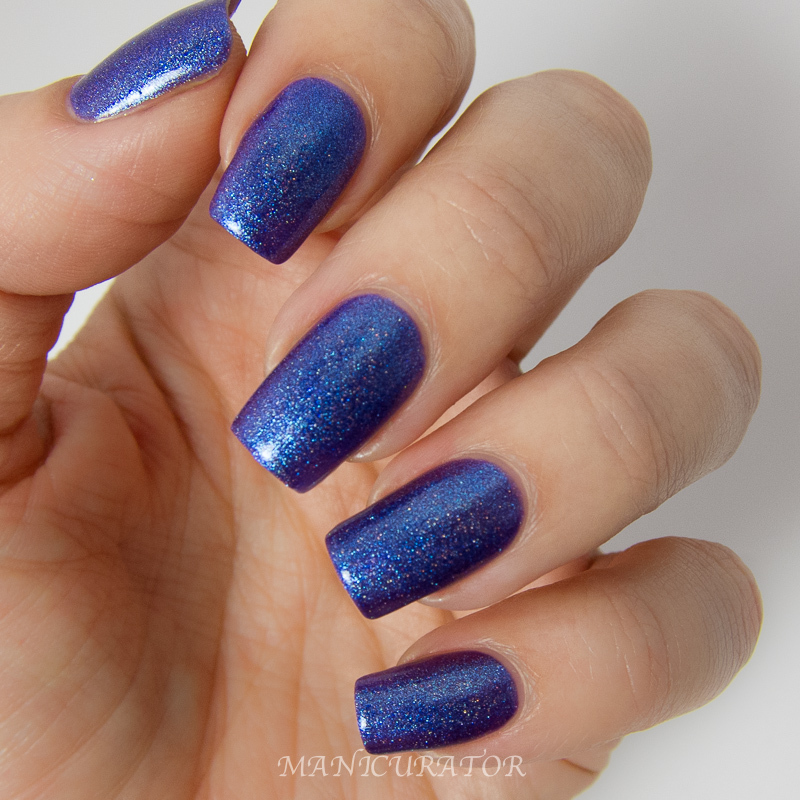 A complex and beautiful violet leaning purple chock full of shimmer and depth. Great formula but needed three coats for full coverage. As much as greens are not my favorite color to wear...they are growing on me. And this one is a happy and sparkly one. Lovely formula, three coats again for full opacity. Couldn't even tell you which is my fave from this set. They are all great! 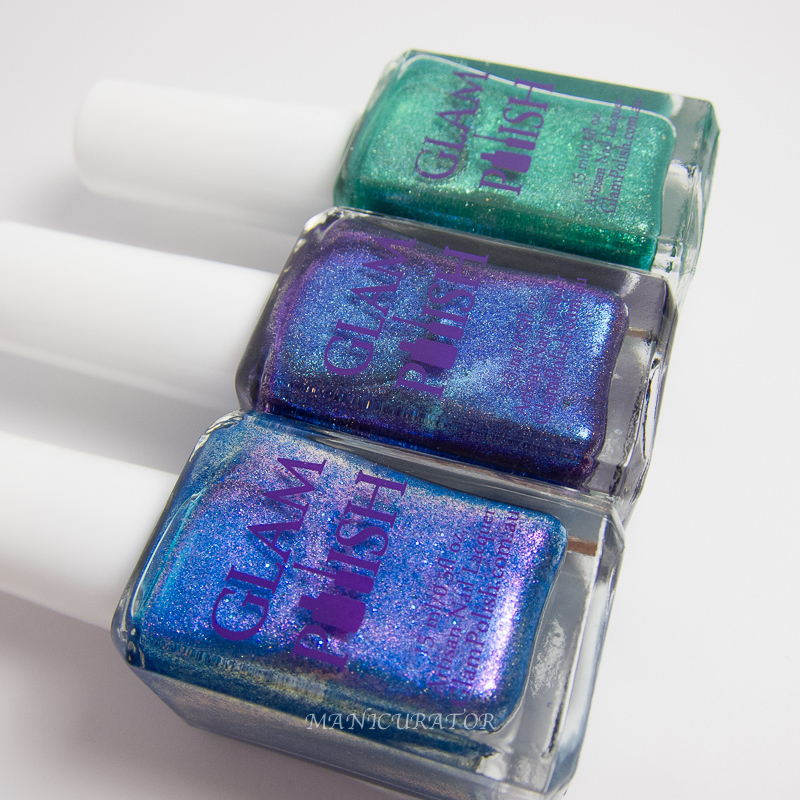 The Exotic Illusions - June trio are $11.95 each - available now for pre-order at Glam Polish (with shipping to Australia & USA available). How lovely this trio is! I like them. I agree! I can't pick a favorite, either! They are stunning!